Gov. Paul LePage said Friday that he won’t sign a state budget package endorsed Thursday night by a special panel, ensuring a partial shutdown of state government at midnight. The Republican governor’s opposition to the budget deal would force Maine’s first state government shutdown since 1991, which could stretch 10 days if LePage holds a budget bill for the full time the Constitution allows before he must act. A budget would go to him tonight if the Legislature can muster two-thirds votes in both chambers, but even that was a big “if” on Friday. LePage hosted House Republicans for a Friday morning meeting where he reportedly implored them to oppose the budget deal negotiated by Senate President Mike Thibodeau, R-Winterport, and House Speaker Sara Gideon, D-Freeport. LePage told reporters his major objections were the overall cost of the budget package — around $7.1 billion — and that it proposes raising the state’s lodging tax from 9 percent to 10.5 percent without income tax cuts. However, the budget package currently under consideration contains an income tax cut of 3 percent because it eliminates the surtax on income above $200,000 per year for education which was approved by voters last year. LePage said “on June 30” — the deadline for Maine’s next fiscal year — “they’re trying to put a gun to the governor’s head,” but it won’t work. “This budget they have has no prayer, and if they’re hell-bent on bringing this budget down, we will shut down at midnight tonight and we will talk to them in 10 days,” LePage said. The comments came hours before the House and Senate were due to vote on the compromise spending plan. Gideon said the governor’s threats don’t change the fact that the Legislature’s only priority should be sending him a budget with two-thirds support. “If we do not do that and if the governor then does not do his job by either signing the budget or returning it to us immediately with his veto then we will be damaging the lives of too many people in this state,” she said. Senate Minority Leader Troy Jackson, D-Allagash, said during a hastily organized news conference after the governor’s comments that he will personally introduce a bill to eliminate the proposed lodging tax increase if that would spur LePage and Republicans to support the budget bill, though Gideon said she wouldn’t support any changes late in the process. 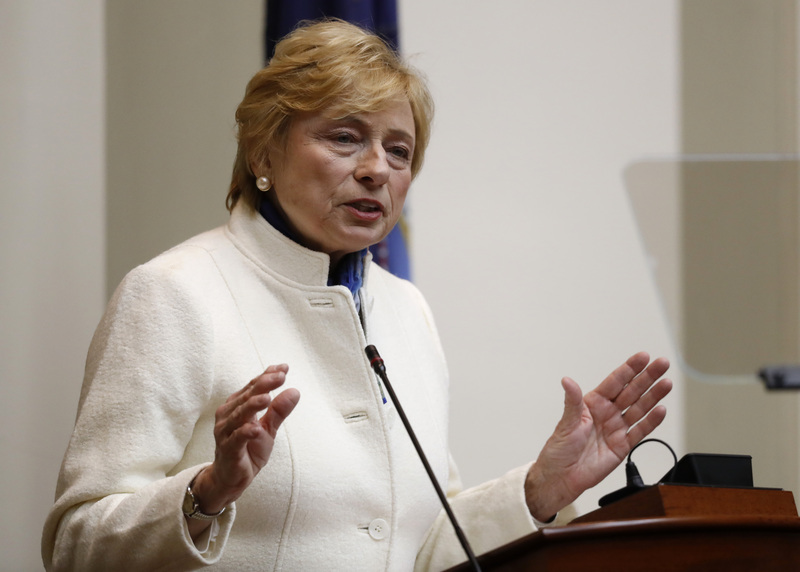 Legislative Democrats are likely to mostly support Senate Republicans in their budget push, but the more LePage-aligned House Republicans have enough votes to block the budget’s passage there. But when asked how many members of his caucus would vote for it before LePage spoke, Pouliot demurred — sort of. Gideon said she is not sure how much support there is for the budget in the House. If all House members are present, 101 would have to vote for a budget to hit the two-thirds threshold. Under a shutdown, the state’s roughly 12,000 employees will either work or stay home without pay, since no budget means Maine has no authority to pay workers. 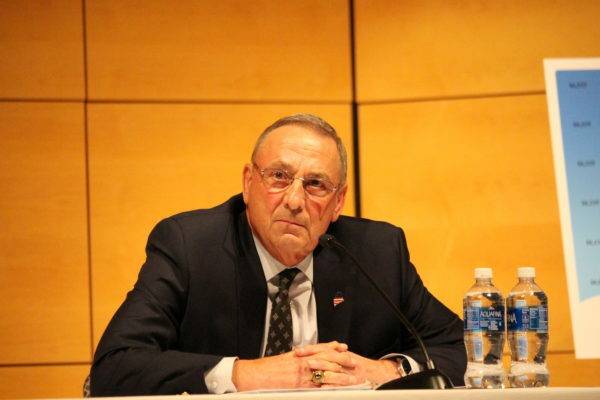 LePage announced Thursday that state law enforcement, state parks, psychiatric hospitals, prisons and ferries will remain operational, but that was only a partial plan. In 1991, 2,000 employees were called into work at the beginning of the shutdown. That’s likely to have a wide effect in Maine: Workers represented by the Maine State Employees Association will lose wages generating $2.5 million in daily economic impact, according to an analysis from the liberal Maine Center for Economic Policy, with $944,000 in Kennebec County alone. Some of those union members were at the State House on Friday, including Kip Mitchell, 53, a Maine Department of Transportation employee who said he’s the only wage earner in a family of four. “The uncertainty is scary,” he said. Jonathan French, 38, of Hallowell, a civil engineer in the same department, said he had worries besides his job, because his young son gets services through the Maine Department of Education’s Child Development Services program.